Check out the January issue of the highly regarded lifestyle magazine T3 for a fantastic Home Cinema Sound group test. In the feature, our Maxell MXSP-SB3000 soundbar is awarded five stars and awarded the overall winner of the group test, beating rivals from Samsung and Onkyo. 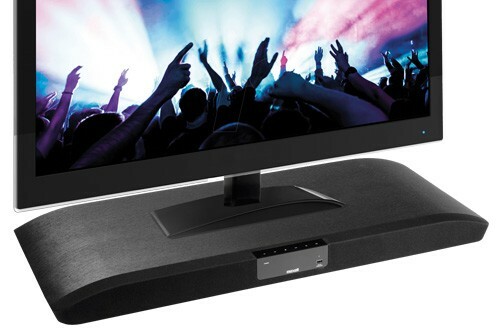 The review is more than a little positive and draws particular attention to the soundbar's versatile ARC compliant HDMI, aptX Bluetooth and twin audio inputs. T3 also like the 100W wireless subwoofer and stereo 30W speakers and sums up by calling the soundbar a "corker" and a "genuine bargain". We think it's pretty awesome too! Check out the Maxell MXSB-3000 product page for more information! The staff at Peak Development would like to thank all of our customers and suppliers for their support during 2013. 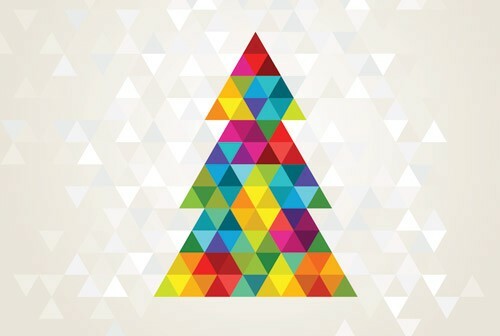 Our offices will close for the Festive Season at 1PM on Christmas Eve (Tuesday the 24th December) and will reopen at 9AM on Thursday the 2nd January. Christmas Deliveries The last collection date for UK mainland pre-Christmas delivery (next day DPD) will be Monday 23rd December for delivery on Tuesday 24th December. There will be no collections on Tuesday 24th December. For information about European deliveries, please view the DPD Christmas Delivery Schedule (PDF 94KB). For Rest of World deliveries, please contact your sales account manager for more information. Normal service will resume when we re-open on Thursday 2nd January. Friday afternoon has always been a very quiet time for us in distribution. We've loaded all the orders onto the system, the warehouse team have picked them and packed them and the couriers have collected. So we've decided to close slightly earlier. We'll still be open 9AM to 5.30PM Monday to Thursday, but on a Friday afternoon we're now going to close half an hour earlier at 5.00PM. 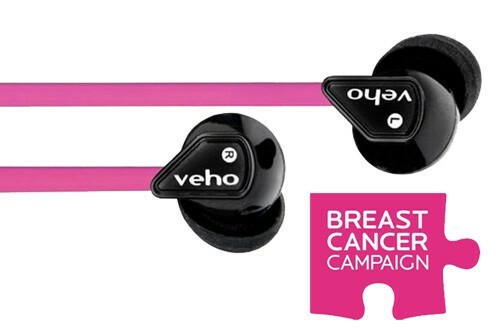 The good people at Veho are once again supporting Breast Cancer Campaing with a limited edition pair of Pink Z1 Earbuds. Last year Veho raised over £50K for this fantastic cause with a similar promotion on the Veho SmartStick. During October we'll be running promotions on the Limited Edition Pink Z1 Earbuds, look out for an email from your account manager. A little bit of news from the good people at Socket Mobile who have today announced that the Socket Bluetooth Cordless Hand Scanner (CHS) Series 7 and Series 8 barcode scanners are both compatible with Apple iOS7. 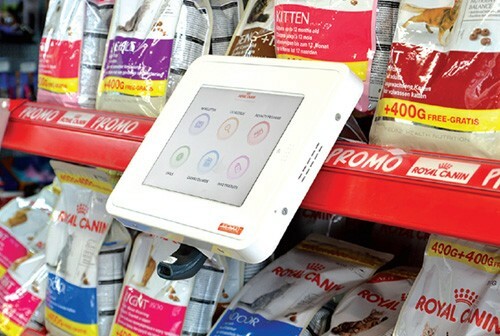 The products' seamless compatibility with the latest Apple devices "underlies Socket Mobile's commitment to supporting the latest smartphones and tablets used by businesses for retail point of sale, field sales and service, and other mobile applications." The engine on the van is still warm but we're already busy on the phones contacting all the fantastic new people that we met at the Outdoor Trade Show at Stoneleigh Park. Thanks to everyone that came down and spoke to us on the stand and Kudos to the organisers for creating such a fantastic event. A really warm welcome for our first year at the show. 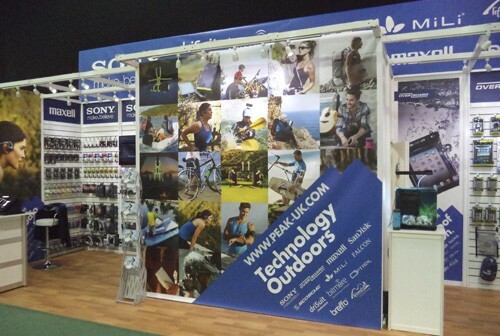 Visit the Peak team as we exhibit for the first time at The Outdoor Trade Show (OTS) 2013 at Stoneleigh Park. 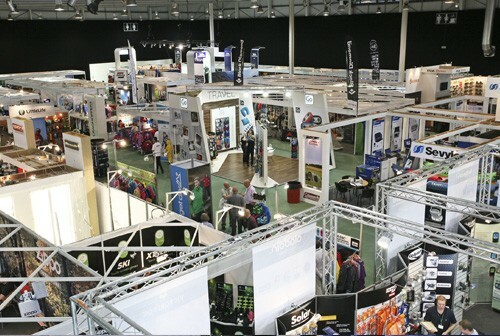 OTS is the THE industry event for the Outdoor Trade in the UK. Last year’s show attracted attendance from more than 1200 industry visitors to see products from over 300 brands from nearly 130 exhibitors. Our diary is filling up quick so why not make an appointment to join us on stand 45 in our purpose built meeting room. We’ll be showcasing new products from industry leading brands such as Sony, SanDisk, Overboard, Maxell, Breffo, Optrix and Scosche. Contact our Sports and Outdoors Account Manager Oli James to make an appointment – we’ll see you there! The Outdoor Trade Show 8th to the 10 September, Stoneleigh Park, Warwickshire. 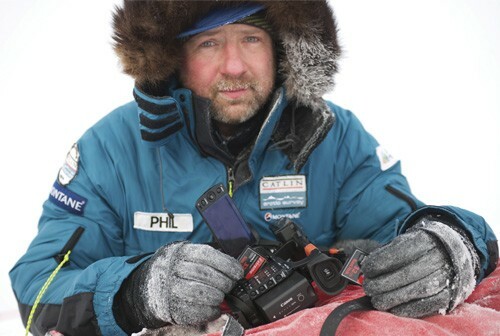 SanDisk is a Technology Provider to the Coldest Journey's world record attempt to cross Antarctica in its polar winter for the first time. 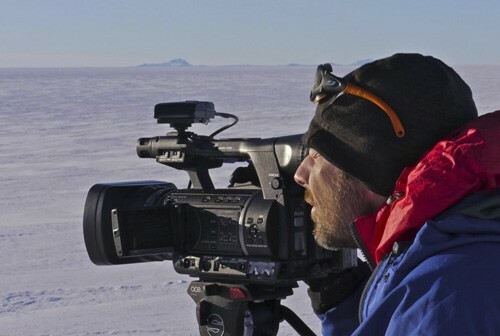 The Coldest Journey are using SDHC cards from SanDisk to record stills and video on the 9 month expedition, plus exclusively using SanDisk Extreme SSDs to store and back-up all the video and photos from the coldest place on earth. In today's photo broadcast quality video is being shot on a Panasonic camcorder, and stored straight onto a SanDisk Extreme SSD. Western Digital and SanDisk have announced that the two companies are collaborating to introduce hybrid storage devices that feature best-in-class flash memory technology from SanDisk and best-in-class hard drive technology from WD. SanDisk is supplying a SanDisk iSSD™ storage device for the WD Black™ solid state hybrid drive (SSHD), the world’s thinnest 2.5-inch SSHD solution, which utilizes both WD proprietary hybrid technology and industry standard SATA IO technology. The SanDisk iSSD brings an elegant balance of performance, low power consumption, cost, reliability, and a compact form factor to this SSHD, which will offer ample storage to meet consumers’ growing appetite for digital content as well as flash-enabled speed, data throughput and responsiveness – all within ultra-slim form factors. Our friends at Uniq had a fantastic time at the Asia World Expo in Hong Kong recently, picking up the Overall Winner Best of Show Award for their stand - out of 10 halls. 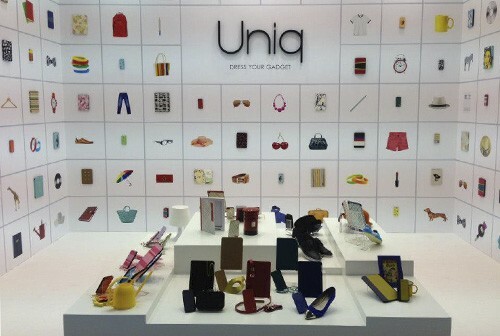 Take a look, we think it captures Uniq's effortless style perfectly. If you haven't discovered the the Uniq range of cases, take a look at our range of Uniq cases in our Discover more about the new partnership in our Protect Section. 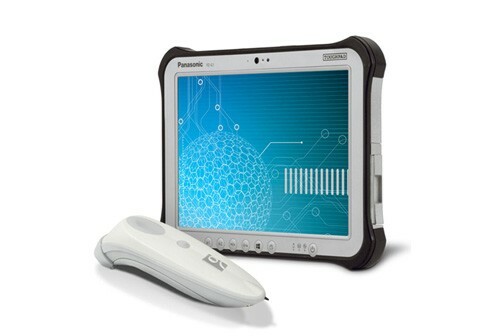 Panasonic have approved the Socket Mobile Cordless Hand Scanner (CHS) Series 7 2D Bluetooth Barcode Scanner for use with their Toughbook and Toughpad range of devices. With the CHS 7Xi supporting both Windows and Android OS's this pairing offers an ideal partnership for many vertical markets and applications, in particular for field workforces in outdoor environments. Discover more about the new partnership in our Socket Mobile Partners section. SanDisk have announced at Mobile World Congress in Barcelona, that the SanDisk iNAND Extreme Embedded Flash Drive (EFD) supports tablet reference designs based on the NVIDIA Tegra 4 – the world’s fastest mobile processor. Optimized for use in the tablets powered by Tegra 4, iNAND Extreme delivers an outstanding user experience by enhancing processing performance and providing reliable, high-quality digital storage. Breffo wins Theo Pathitis SBS award. Congratulations to our friends at Breffo on your Theo Pathitis Small Business Sunday award #SBS. Evey week Theo rewards six small businesses that tweet him between 5PM and 7.30PM on Sunday with a retweet at 8PM on the following Monday. With over three hundred thousand followers, this can provide a massive boost to the chosen businesses. Patrick Mathews from Breffo said, "Just a few hours after the retweet we had a huge number of new followers and a spike in traffic to our site! Looking forward to see how things develop." Our friends at Powertraveller - who have just packed the trailer and headed off to ISPO 2013 in Munich - have announced they are to be the recipients of a very special award. 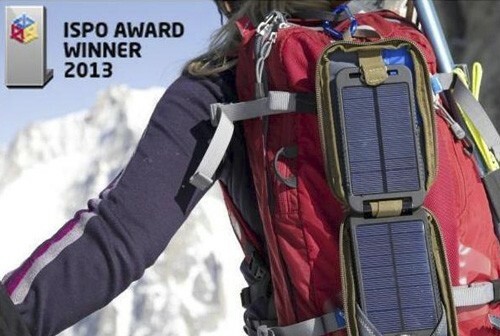 The Solarmonkey Adventurer portable solar charger has scooped a prestigious ISPO Award! Every year, ISPO MUNICH honors the most exceptional sporting goods products with the ISPO AWARDS. A jury consisting of independent sports business professionals evaluates several hundred entries, also from non-exhibitors, according to clearly defined criteria. This high-caliber selection presents a welcome orientation aid for sports business professionals and provides retailers with a welcome tool for their future product selections. At ISPO Munich, over 2,300 international exhibitors present a complete selection of sporting goods, athletic footwear and outdoor fashion from the Outdoor, Ski, Action and Performance Sports to more than 80,000 visitors from over 100 countries. If you're in town, you can catch up with Powertraveller on Stand 506 in Hall A6. UPDATED: The snow has finally reached the south coast, with heavy snowfall over night which has continued through the morning. Our local DHL office is closed, and other couriers have also confirmed that they will not be making any collections or deliveries. 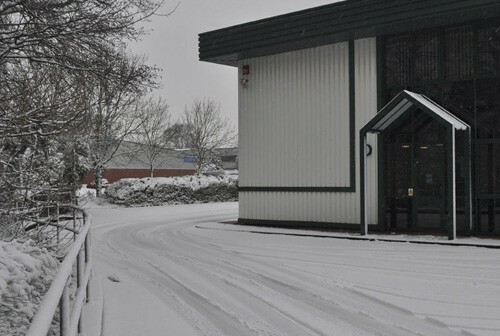 With heavier snow forecasted locally within the next two hours, a decision has been taken to close the office at 1PM to allow staff to get home as safely as possible. Optrix XD have announced the XD5 iPhone 5 sports case at CES in Las Vegas today: This totally redesigned case is leaner, lighter, and stronger, all with an even higher waterproof rating. If that wasn't enough Optrix have also added a second door for access to the charging connector, headphone jack and microphone. The XD5 has been drop tested from 15 feet and is submersible to 15 feet. A new rail mounting system means the XD5 gives you two products in one. Slide the XD5 housing into the rail system to mount to just about anything. Slide it out and you have an ultra rugged iPhone 5 case that is ready for any adventure. Availability is expected in early February. Today at the Consumer Electronics Show CES, Las Vegas, SanDisk have announced two new SSD products – the SanDisk Ultra Plus SSD for the retail channel and the SanDisk X110 SSD for OEM customers. 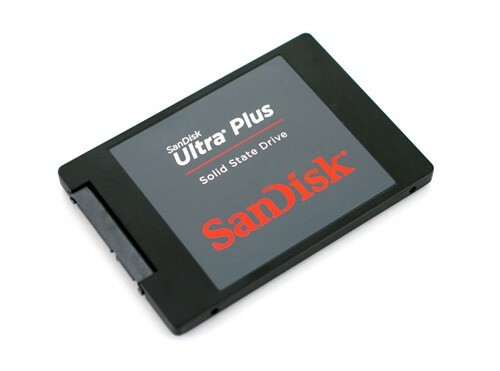 The SanDisk Ultra Plus SSD is ideal for consumers who want to boost their notebook or desktop computer’s boot, shutdown, data-transfer and application launch times. The low latency of the SATA 3.0 drive allows it to respond quickly, even with a heavy workload, and its consistently high read speed is ideal for read-intensive applications such as multimedia consumption. The drive delivers up to 530MB/sec sequential read and up to 445MB/sec sequential write speeds1, offering a fast, responsive computing experience. In addition, with no moving parts, the SSD is more durable than traditional hard disk drives and it consumes less power to help maximize battery life. The SanDisk X110 SSD enables notebook and tablet OEM manufacturers to design fast, responsive systems with the sleek, thin form factors consumers’ desire. The X110, successor to SanDisk’s popular X100 SSD, delivers fast sequential and random read/write speeds and employs a low power architecture that significantly reduces the power consumed by the device in low power modes. SanDisk is building both new SSDs using its industry-leading 19 nanometer (nm) technology, the world’s smallest, most advanced manufacturing process node. We'll update you with UK stock availability as and when we get it. Team Peak will be supporting SanDisk at this year's BVE - the essential broadcast and production technology event to be held at ExCel London 26th-28th February 2013. BVE 2013 will host over 300 exhibitors, including major manufacturers, distributors and resellers of professional production and broadcast equipment and systems. Look for us on the SanDisk stand AA18 as we showcase how SanDisk Extreme Pro SD, SSD and CF products are helping to meet the technological challenges of the rapidly changing Professional Video industry. You can register for Free Entry to BVE 2013 on the BVE website.